Helps to repair hair damaged from the harmful UVB radiation from the sun, and the harmful effects of sand, sea, and swimming pools. Argan Oil used in the formulation eliminates the harmful effects of sand, the sun, sea, and swimming pools on hair, and nourishes and rehydrates hair. Gives hair shine and a silky softness. The hydrolyzed keratin content makes hair combable after sea and swimming pool activities. Supports the hair keratin level dropped due to continuous contact of water, and repairs broken ends, and eliminates static electricity in hair. Features color protection for extended protection of hair color. It is recommended to use regularly. Avoid contact with eyes; in case of contact with eyes, rinse immediately with plenty of water. 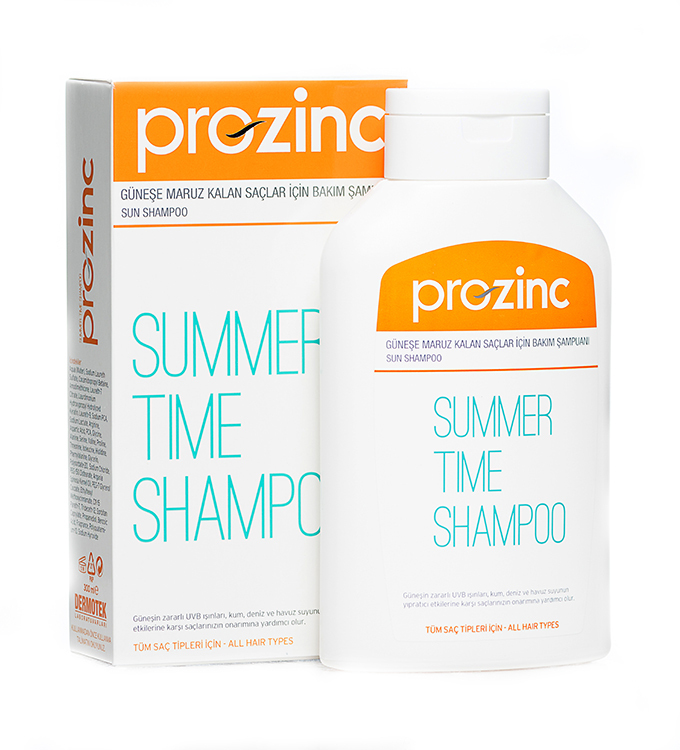 For a better result use with Prozinc Summer Time Spray and Prozinc Hair Mask. 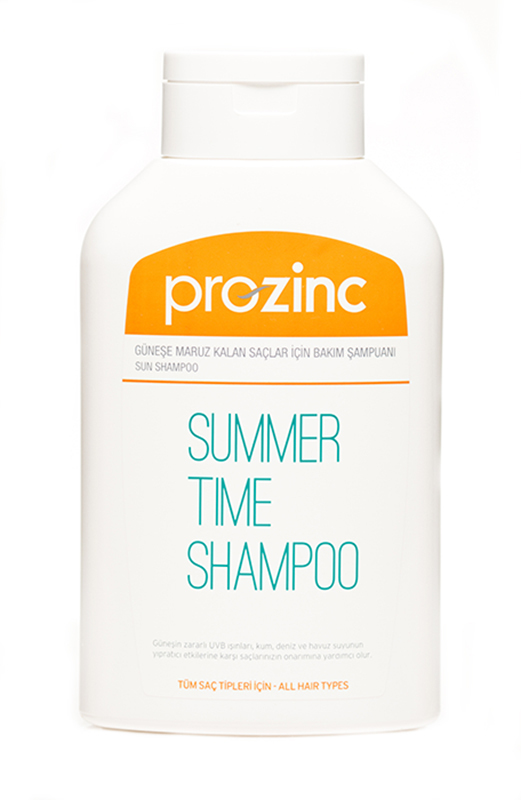 Prozinc Summer Time Shampoo is available in shampoo form, in 300ml containers. Store in its original container at 25°C max. Store away from the sight and reach of children.